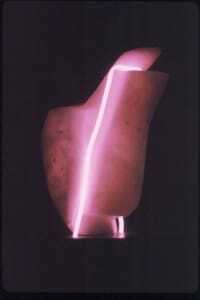 The idea of combining neon with stone came to me over thirty years ago. 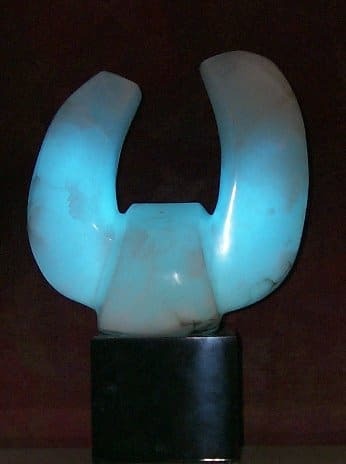 I had been working with some translucent stones such as alabaster and onyx when I thought that if these stones could be illuminated from within it would enhance the artistic effect. Not only would it bring out the internal nuances of the grain of the stone but would enhance the color as well. 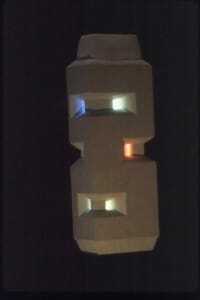 I could also take a stone that was colorless and create new variations of color with that stone.